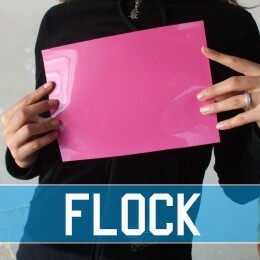 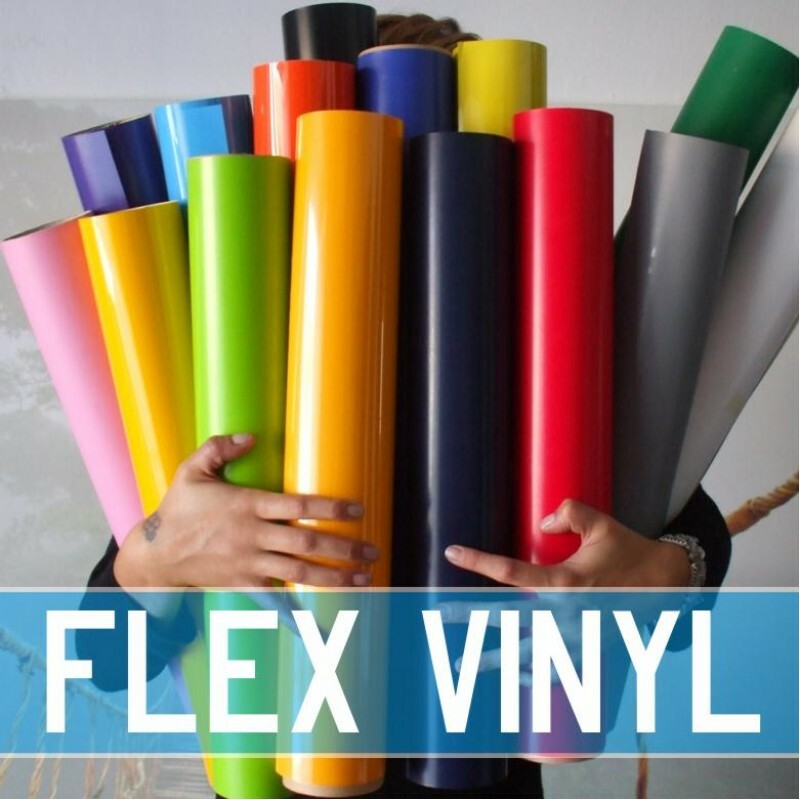 Vinyl flex iron-on transfers available as blank sheets 18x25cm or rolls in 40 colors. 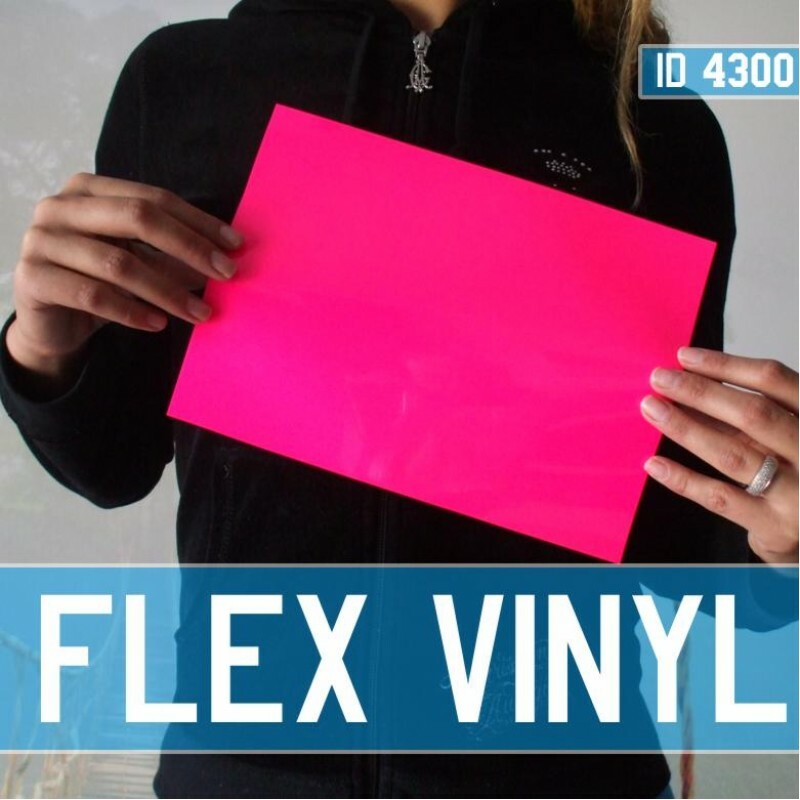 Vinyl flex iron-on transfers feel soft, matt finish with a screen printed look. 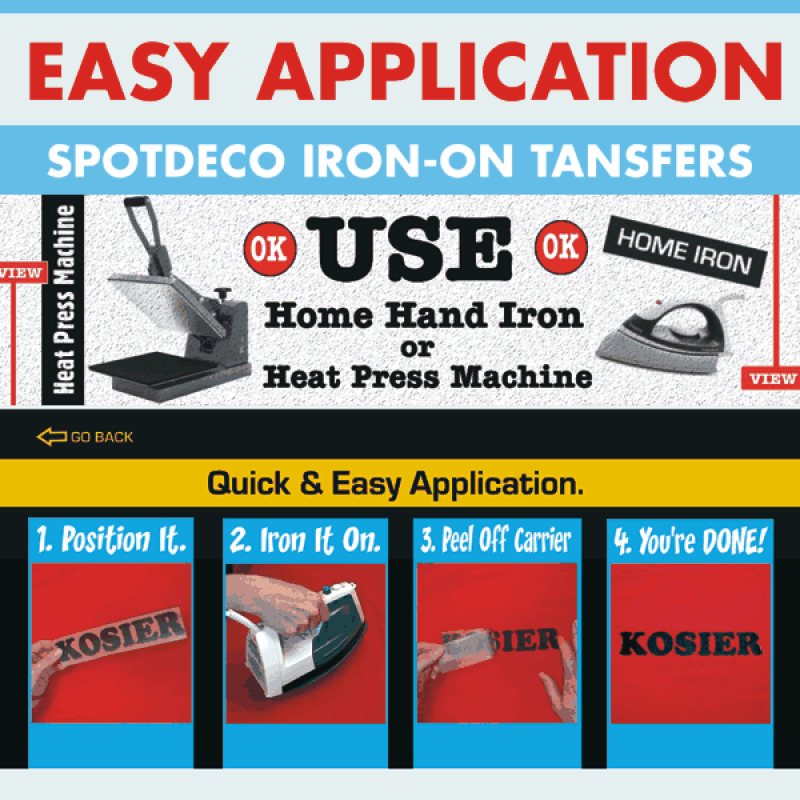 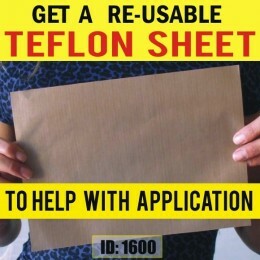 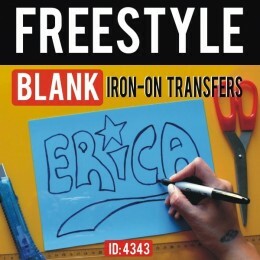 Use these Blank sheets or roll lenghts to Freestyle Design freehand right on the transfer or use a computer and Vinyl Cutter to design and meka your own iron-on transfer. 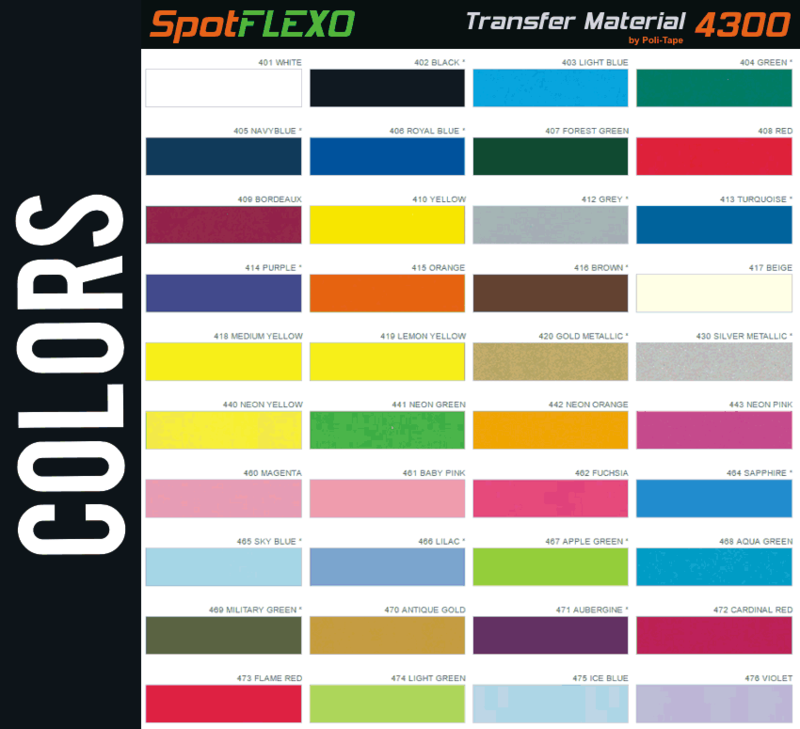 Work great with Home Iron or Heat Press to apply, print ALL fabric colors ( black etc. 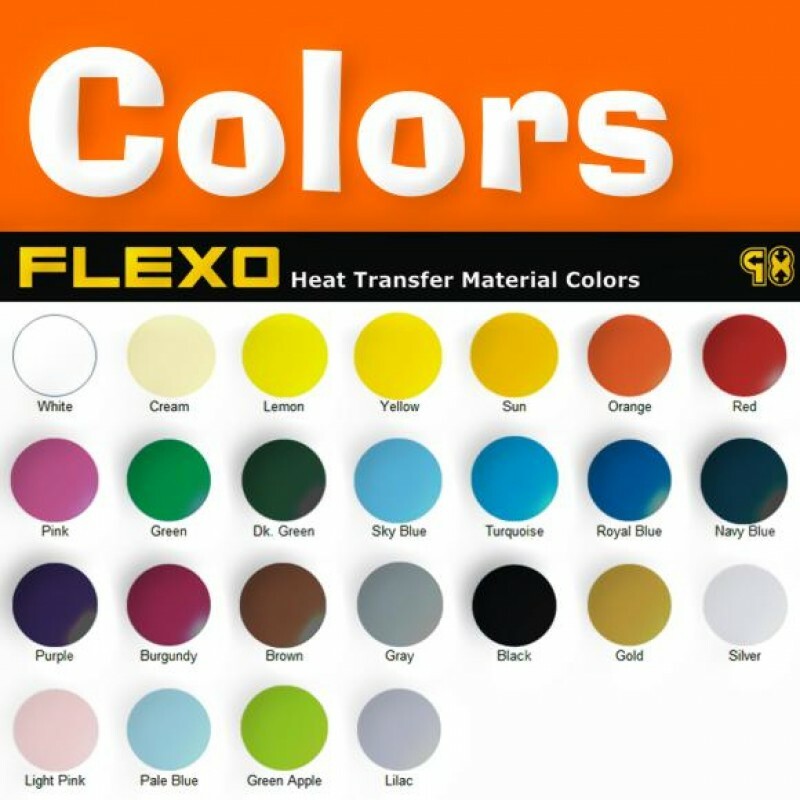 ), work well on most textiles, cotton, polyester, denim and more.